Passing the Florida contractor license exam is a critical part of becoming a licensed contractor in Florida. The exam is broken down into several parts and all parts must be fully satisfied within four years of beginning the exam process. Therefore, the right exam preparation at a top contractor’s licensing school can mean the difference between struggling to pass the exam and obtaining a license without difficulty. The process for obtaining your Florida contractor license can be confusing. That’s why we created the ultimate guide to getting your Florida contractor license. This step-by-step guide walks you through every item required for getting licensed. Please continue reading below for our list of the top Florida contractor license schools. While there are many programs and schools that claim to offer top-notch contractor licensing exam prep, the following Florida schools are among the cream of the crop for serious contractors. The Gold Coast School of Construction has been educating and training thousands of successful contractors in Florida since 1970. They offer programs for Division I (Structural Building Contractor) for General Contractor, Building Contractor and Residential Contractor licenses. They also offer Division II (Subcontractor) programs for Air Conditioning Contractor, Roofing Contractor, Glass and Glazing Contractor, Pool and Spa Contractor and Specialty Contractor licenses. The exam prep center offers intensive review courses, online practice exams, module workbooks and standard classroom instruction. The full service exam prep program tuition is $795. Tuition is valid for one year and includes as many classes as students wish to take at all locations. Classrooms are located in Doral, Lantana, North Miami and Broward. 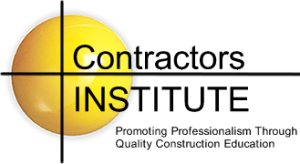 The Contractors Institute is the largest construction school in Florida and has been helping contractors pass the Florida contractors license exam since 1971. Their alumni ranks boast more than 70,000 students with a 95% exam pass rate. They offer a wide range of contractor education programs, including General/Building/Residential, Plumbing, Electrical, Mechanical, Roofing, Air Conditioning, Specialty Structure, Glass and Glazing, Marine and Gas Line. Tuition comes with a lifetime guarantee—allowing students to take as many classes as necessary to pass the exam. Tuition varies based on specialty, but the General Contractor tuition is $895. This east coast learning center is located in Hudson, Florida. The Builder’s Estimating and Exam School has over 40 years of teaching experience with small class sizes and training & professional instructors. Located in Sarasota, they offer contractor exam prep courses in many categories. These include General, Building, Residential, Roofing, Underground Utility, Plumbing, Mechanical, Solar, Air Conditioning and Residential Pools. The full course tuition of $1,300 includes the opportunity to take a 5 day complete training course with no more than 15 students in the class, plus a refresher course immediately before the exam. They also offer private tutoring options and exam book packages to support passing the exam on the first try. As part of the Division of External Programs at Florida International University, the Florida Contractor Exam Review courses prepare students to pass the Florida contractor license exam on their first try. The 48-hour course covers all the information students need to prepare for the General Contractor exam, including business & finance, contract administration and project management topics. Students who do not pass the first time are afforded the opportunity to take the course again at no cost. Tuition for the program is $900, not including books and manuals, i.e. study materials. The university is located in Miami, Florida. The Palm Construction School has successfully trained contractors to prepare for the Florida contractors license exam since 1980. They offer exam prep through live classroom instruction, online exams and study materials including workbooks. Courses are offered for General, Building, Residential, Sheet Metal, Roofing, Air Conditioning, Mechanical, Plumbing, Underground Utility, Solar and Specialty contractor specializations. The full course package costs $999 and includes in-classroom instruction at their Orlando-based school, online exam preparation, course manuals and workbooks. The tuition is good for one year and includes an online practice exam. The Camtech School of Construction was founded in 1992, and boasts a team of instructors with over 130 years of aggregate experience. They offer more than three times the courses as the average exam prep school, with non-repetitive classes dominating the course schedule. In addition, Camtech offers a 100% money back guarantee. Courses are offered in Ft. Myers, Tampa and Orlando, as well as online. Tuition includes a full year of complete course sessions. When registering for contractor license exam prep courses, keep in mind that there are basic guidelines that need to be met in addition to passing the licensing exam. Contractors must be over 18 years of age, have at least 4 years of experience and a FICO credit score of 660 or greater. Contractors who don’t have this minimum credit score may require larger contractor license bonds to be allowed to earn their license. Have you attended any of these schools? We would love to hear more about your experience in the comments. Does anyone know a good business card app? Good morning: I would like to know the step to become in general contractor. Hi. I am a civil Engineer graduated in Venezuela in 1983. I’d like to become a GC here in Florida and as far as I underestand, I need a 4 years experience cetified by ” I don’t know who” in this particular case. I owned my own Construction Company and made several buildings since then. What can I do? This should provide all of the info you need. Trying to get contractors License, Currently working as a project manager building commercial greenhouses.